When they're young and still waiting for their first evolution, all a Pokemon dreams about is fighting in tournaments with a skilled trainer guiding the way. What they don't think about is that all those battles will take their toll, and eventually they're going to have to consider other work in order to pay the bills. 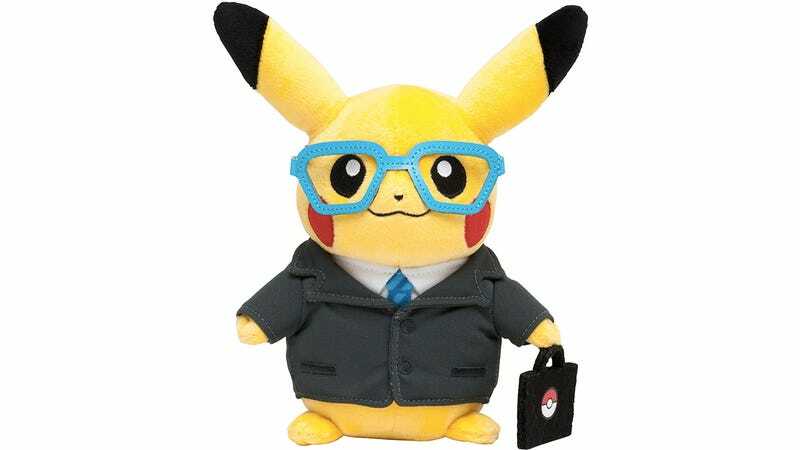 At least Pikachu is embracing the corporate world.